Looking to study an English course in Dublin? Then look no further! Berlitz Dublin is proud to be one of the longest established Language schools in the city, specializing in both General and Executive English courses. We offer a large range of English courses for you to choose from, including: a General English course, an Intensive English course and a Business English Course. No matter what your requirements, we will have a course to suit your needs. Choosing an English course at Berlitz Dublin will not only improve your language skills, but is also designed to help you progress in your chosen career. Berlitz will also help you find accommodation. For more information on any of our English Courses, then simply contact us today or click on our booking tab and we will be in touch. Whether you are studying one of our General English courses or looking to pursue an IELTS preparation course so as to progress to university, we can help. Alternatively, if you would like to study English for Business purposes in order to enhance your career prospects, then Berlitz Dublin is the ideal place in which to study. We are committed to providing a student friendly environment, where we will ensure that the time spent with us will be both educational and rewarding thus combining the best in an enjoyable cultural experience and academic excellence. Berlitz Dublin English language school was established in 1900 and holds an excellent track record for helping thousands of students to achieve their language goals. We believe in providing a fun and stimulating environment where students will learn and advance their English language skills further. Every student is treated as an individual and supported with a specifically tailored English language study plan to help achieve their language and career goals. With regular feedback, we ensure that each student’s progress is carefully monitored throughout the duration of their English course. Our helpful staff are always on hand to ensure that students receive the personal advice and guidance needed while undertaking their chosen English course. What makes our English courses in Dublin different? 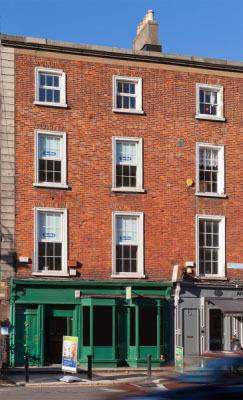 Here at Berlitz Dublin, our training centre offers a modern facility in the vibrant heart of this great city. We focus on providing a professionally tailored experience in which all of our students are supported so as to reach their maximum potential. Staff and students are offered a friendly and sociable study environment which allows our students to flourish throughout the course of their studies. We are keenly aware that our students expect a fun and stimulating environment in which to study and improve their language skills, make new friends and experience the many and varied facets of Irish cultural life. High-quality language courses delivered by professional staff in a warm and friendly environment. A fun and stimulating environment in which you improve your language skills. 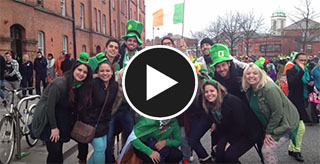 Opportunities to make new friends and experience the many facets of Irish cultural life. The personal touch to make your study-experience a Special one! Take a look below at our most popular and in demand English courses we offer here at Berlitz Dublin. Our General English Language Course aims to improve and develop every aspect of your English language. We provide a professional and personal approach to your study with our Dublin based language school. Our main focus is to provide each and every student with a highly interactive and stimulating environment in which our students can maximise their English language skills. Our General English Course’s are led by highly qualified and experienced tutors that have been trained to cater to your specific and every need. Our professional tutors will ensure to give you the maximum support to reach your intended goals throughout your time here at Berlitz Dublin. The course will feature many aspects of the English Language from focusing on active communication skills which are applied to real-life situations in order to help improve your understanding of the English language. With our language school being based within the vibrant city of Dublin, this offers our students a great opportunity to further develop their English Language skills in a real life experience. This has proven to be very effective with most of our students and helps them to make their study interesting and exciting. If you require any further information on our General English Courses then please contact us today. Here at Berlitz Dublin we offer a wide range of English courses including our very popular Business English Courses. Our business English courses have been designed to help our students communicate in a more effective and professional way within the international marketplace. The course as a whole covers a wide range of topics which offers our students the opportunity to improve their English language skills in a numerous ways. The course has been professionally designed to develop strong communication skills and uses techniques such as role-play and real-life examples to illustrate key learning points. This allows our students to practice the skills they have acquired in real life situations which prepares them for the future. We ensure that all of our students get the chance to maximise their learning with great opportunities and experiences over the course duration. With an excellent success rate, our Business English Courses are proven to develop your English skills to a superb level which will increase your chances of securing a job within the international marketplace. Why choose our Business English Course? We also offer a very popular Total Immersion English Course which offers a unique intensive experience. Our total immersion course has been designed to offer the single most effective way to learn a language in a very short period of time. The Immersion Course is an individually-tailored programme which aims to suit our student’s every specific and individual need. So if you’re aiming to improve your English language skills in a short period of time, our total immersion English Course is the perfect choice for you. The Berlitz English total immersion course hours are 9:00am – 6:00pm each day, which also includes ‘working-lunch’ with your teacher, a 3 way conversational session with two teachers, self-study and multimedia-study period each day. The Total Immersion English Course is run Monday to Friday and incorporates 60 lesson units per week. Citizens of certain countries who wish to pursue a course of study in Ireland must apply for a visa to enter Ireland before they travel. Some of the most frequently asked questions here at Berlitz can be found below. If you still remain unsure, then why not get in touch. Depending on who you are, where you’re coming from, and why you like coming here, there are endless reasons to love Dublin.